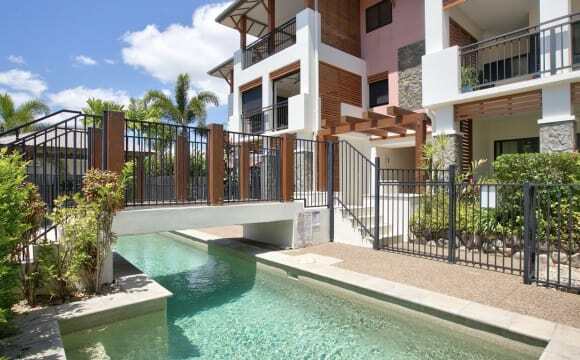 Large Fully furnished double story house with two balconies hidden in the rain forest. - The house has 5 bedrooms, 3 bathrooms and an en-suite. - Large kitchen on second story - Kitchenette on ground floor - backyard and fireplace. If you are interested please advise us the following: - Your Age; - Job/profession; - interests and hobbies; and - How long you intend to stay. Plenty of living space and personal space. Uncovered parking available on premises The house is nestled in the rainforest behind Smithfield on Stanton Road. 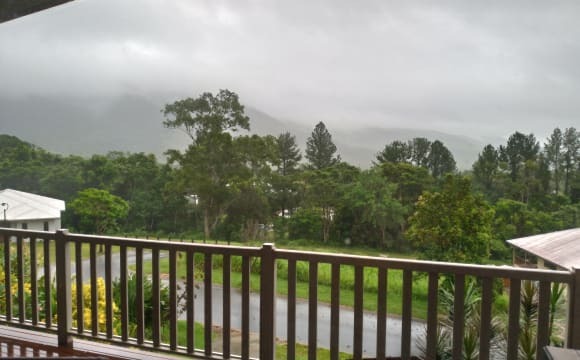 This is a unique opportunity to live in the rainforest amongst the peace and serenity of nature and be only 15 minutes away from the city This room would be ideal for students or working professionals. Sharing the room with 3 other clean, relaxed and entertaining working male professionals. 5 minutes to JCU, Smithfield Shopping Centre, bus stop and JCU Mountain Bike Park. 1.7km private driveway unsealed. $170 per week includes all utilities. The house is a large open style design. Plenty of room to find a quiet space. The house is very charming however it does face those challenges that come with living in the rain forest. Nevertheless, it is certainly a beautiful place to live, with a view that makes it all worth it. 2 x bedrooms for rent in large 4 bedroom house. Huge open plan living area and kitchen. All fully furnished but has a spare bedroom or garage for storage if you want to bring your own stuff we can organise that. Fully fenced off private yard, double lock-up garage, and washer/dryer and dishwasher in the house. Spare tv available for one bedroom who ever gets in first. All rooms in house are fully airconed with split systems. 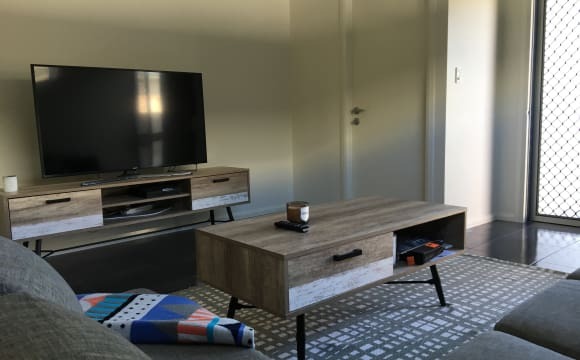 Netflix on shared lounge TV, unlimited NBN already set up in house. 5 minutes drive to smithfield shops, 2 minute drive to Campus shopping centre and the University. Located in new area of Smithfield Village, quiet neighbours, and very safe area. I have a 2 storey house in Smithfield in a quiet cul de sac directly behind the Smithfield shopping center. I am a working mature lady owner of the property &amp; live independently downstairs with my beautiful white cat Romeo. I rent the top half out to JCU students &amp; travellers &amp; it has its own separate access. Upstairs is fully furnished with 3 bedrooms, 1 bathroom, kitchen , dining &amp; lounge. The Smithfield shopping center is 2 mins walk where the buses leave for JCU every 15 mins. JCU is 10 mins away by bus or car. The street is very quiet as it is a no exit road &amp; I have very nice, quiet neighbours. 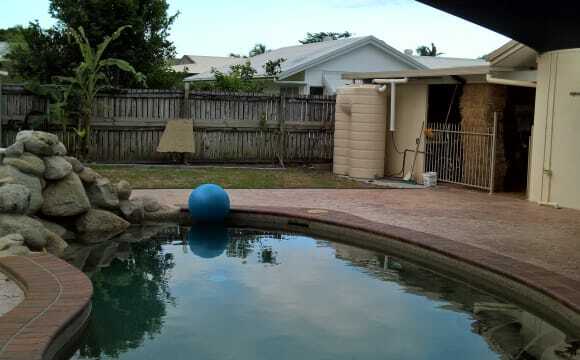 It has a big yard with a pool &amp; the property is fully fenced. 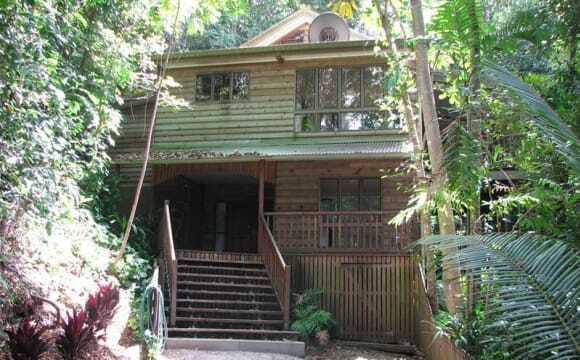 The rent is $150.00 pw which includes power, internet &amp; foxtel. Great COOL house in a quiet street. 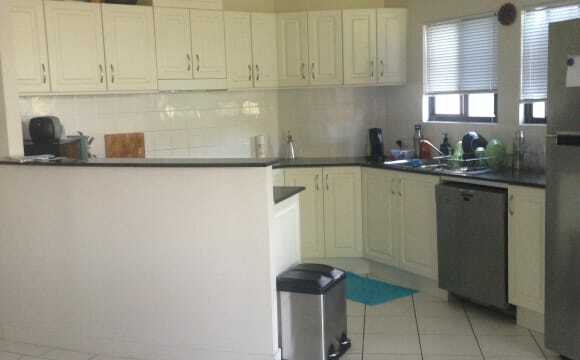 Close to shops, theatre, restaurants and James Cook Uni. Walking treks close by. This is a modern, cool , 4 bedroom house with a pool, BBQ area, garden and media room. The bedroom for rent is extra large with a built in mirrored robe. 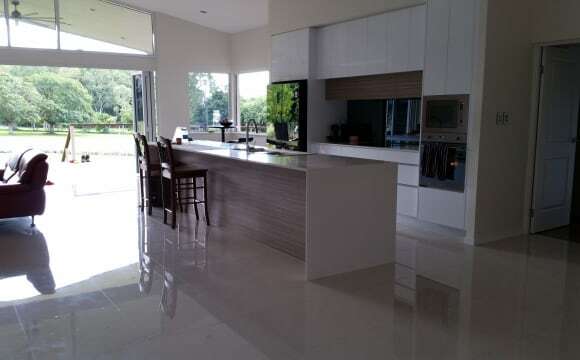 The room has split system Aircon, as does the rest of this open plan house. You would also have your own private bathroom. My property is clean, tidy and welcoming with all mod cons. The complex has 3 pools, tennis court and gym. 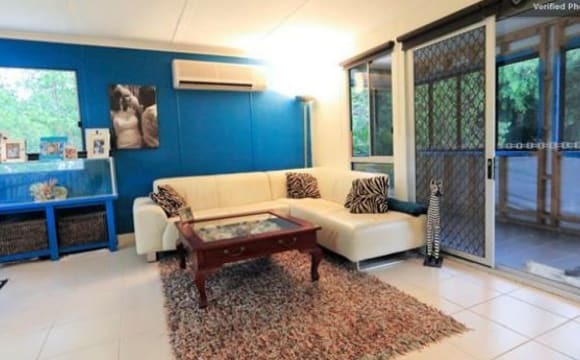 Close to JCU, shops and beaches. Couples welcome, however rent is $300 per per couple. This house is close to everything you could possibly need and enjoy! With Smithfield Shopping Centre a 10minute walk away, James Cook University a 5minute drive away and the beaches within 10minute drive, what else could you ask for? You will have your own private room and bathroom in a fully furnished brand new 3 bedroom house. The neighbourhood is quiet and safe and is just a peaceful place to relax in. Netflix and Wifi also available. No pets sorry. Your stay includes all meals - breakfast, lunch and dinner - 7 days a week. We offer a university accommodation experience in student purpose built accommodation. 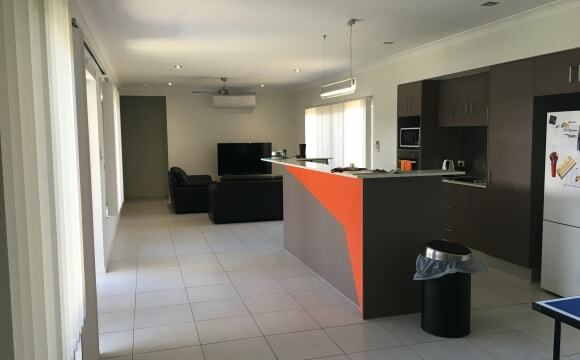 The lodge is located a short and easy walking distance from the JCU Uni via a safe walkway under the Captain Cook Highway. You can also easily walk to Smithfield Library and Marlin Coast Public Swimming Pool. You will have a lockable private room with a desk, a chair, wardrobe, shelves and shared bathroom and living room with TV, fridge/freezer, kettle and microwave . There will be two other rooms in the unit as well. Free unlimited high speed WiFi and free gym access. Air conditioning and ceiling fans. You can enjoy the resort style swimming pool, volleyball, basketball and games room. Your stay includes all meals (breakfast, lunch and dinner), 7 days a week. We offer a university accommodation experience in student purpose built accommodation. 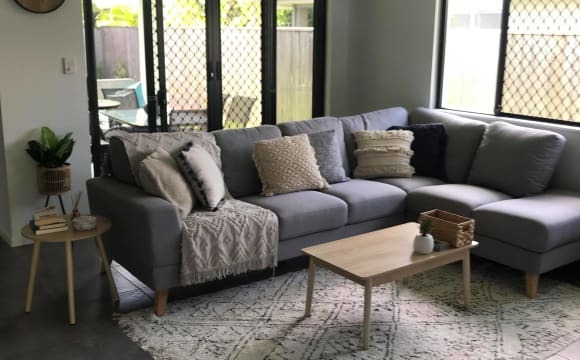 The lodge is located a short and easy walking distance from the JCU Uni via a safe walkway under the Captain Cook Highway. You can also easily walk to Smithfield Library and Marlin Coast Public Swimming Pool. You will have a lockable bunk bed room with a desk, chair, shelves and wardrobe, 2 shared bathrooms and living room with TV, fridge/freezer and microwave. There will be three other bunk bed rooms in the unit as well. Free unlimited high speed Wifi and free gym access. You can enjoy the resort style swimming pool, volleyball &amp; games room. Looking for someone to rent a room in Trinity Park. You will have your own bathroom and toilet. Rooms are mostly unfurnished. But the rest of the house is fully furnished. The rooms also have air conditioning and built in robes. One or two rooms available. 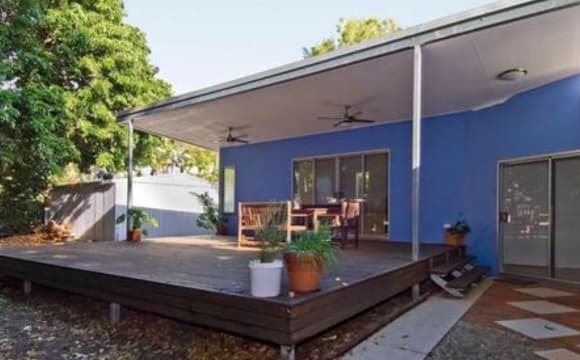 Super modern and comfortable house in Trinity Beach . All rooms are fully furnished. Includes electricty (inc/AC) and WIFI. 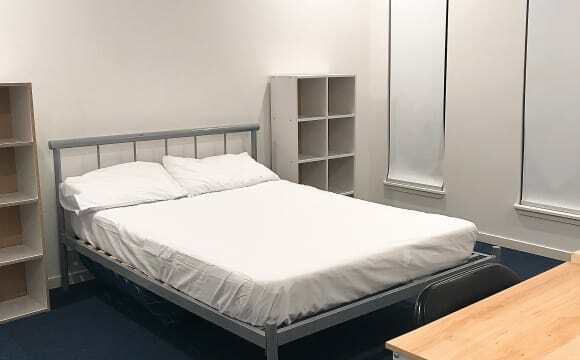 Queen bed room $180per week plus 2 weeks bond required. single person only apply please . I'm looking for someone who is an easy going, clean &amp;tidy person, non-smoker and must have respect for others in a share house . Prefer: mature or elderly person who wants a quiet place (sorry not party house ) I have some free range chickens in my yard .so Hope you don't mind it.... Could you please SMS or Email me if you are interested. Thank you ! 4 bedroom house in Bluewater Trinity Beach. Whole house has been furnished and your room will include a queen bed, with linen if needed. 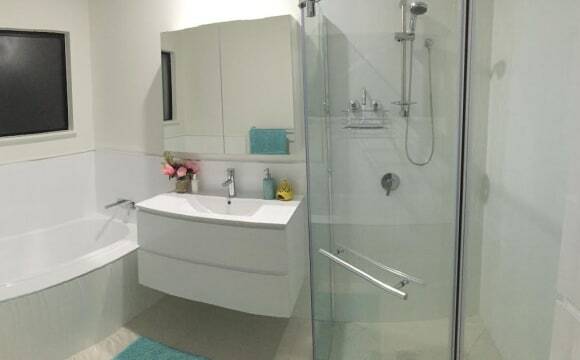 Bathroom will be your own as I have my own ensuite, will only be used if guests are over. Also car can be parked in the garage as it is a double garage. Must be ok with living with one small outside cat. 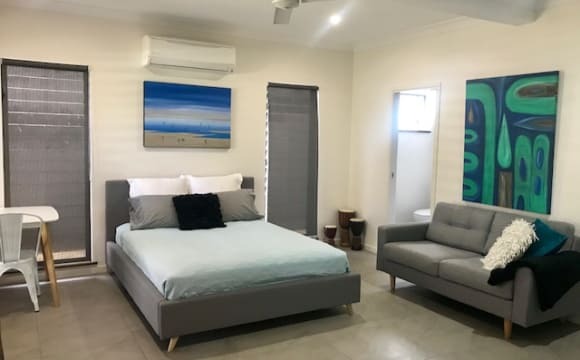 Fully furnished room available in newly built house in Trinity Beach. Can be unfurnished room if preferred, however we have an existing queen bed and bedside table if needed. Air-conditioned throughout. The main bathroom will be yours, but also used for visitors. Internet included. Electricity to be split equally between 3 people. We get our electricity bill monthly.... so much easier to budget. Close to JCU, Trinity Beach, Smithfield Shops, and 20min drive from CBD. Bus stop close by. Main areas of the house are fully furnished. Only street parking.. We will be getting a puppy mid May. 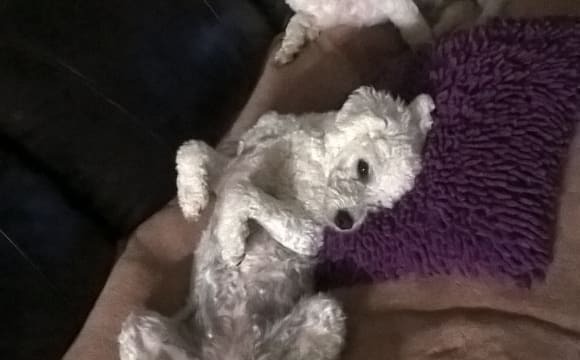 His Name is Hugo and is a Groodle (Golden Retriever x standard poodle). 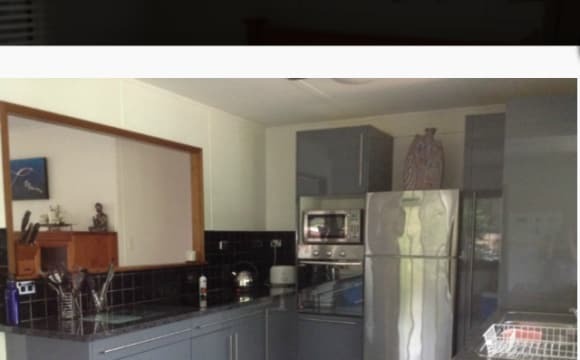 Room is detached from the house with built in wardrobes and own bathroom, fully furnished. Shared kitchen and laundry. Quiet area to live..close to golf course . 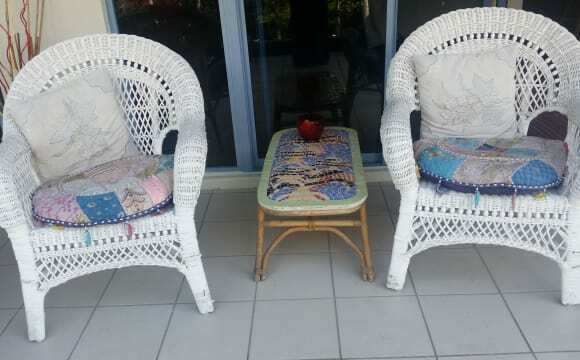 Close to beach,shops,public transport and Jcu. Pool and BBQ in complex. Nice neighbors, secure complex. 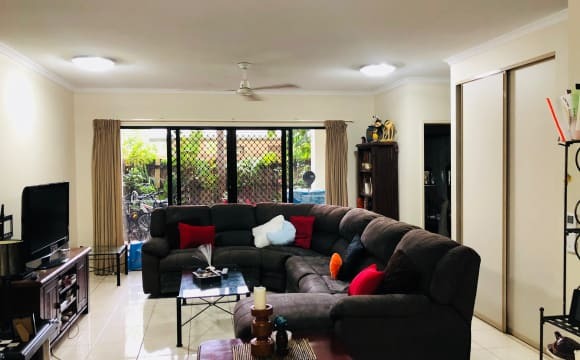 Nice quiet area.Air conditoner and ceiling fans throughout. Lovely spacious unit. Spacy and airy. 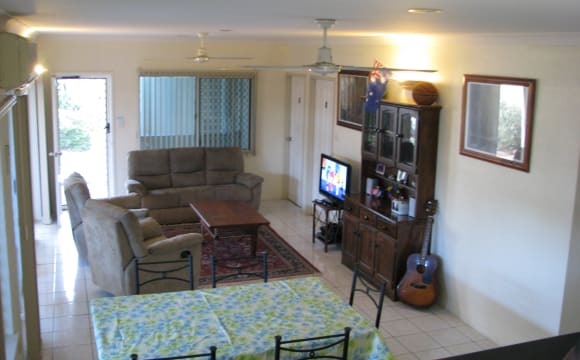 Close proximity to Yorkeys beach and local shops. Quiet neighbourhood. Convenient to the city (15-20mins). 5mins to Smithfield. Great pool in the backyard. The property is in a quiet complex, on the beach 30 sec walk, has a pool, is quite secluded &amp; tranquil. 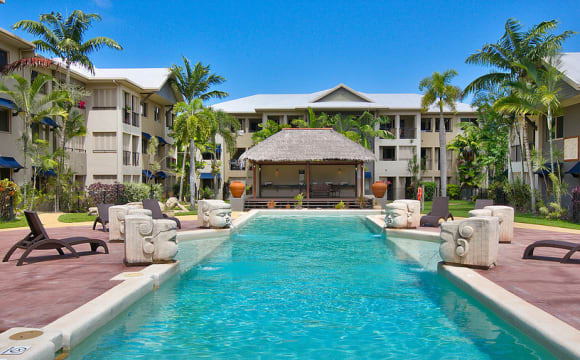 Close to bus stops, beach, shops &amp; JCU. Our house is situated close to the bus stop, convience store and 10 mins walk to the International school. Our gorgeous local beach is also close. We have a ceiling fan and a pedestal fan in the room with hanging space and a desk. Bathroom area is shared but the shower is for guest use only. We have a large outdoor deck that you are welcome to use along with a swimming pool, and great neighbours in a quiet Close. We have 3 cats that live outside and inside so a love of kitties is a must. Unlimted internet is also included in the price along with a light breakfast. 2nd BEDROOM $170 Will become available at the end of June. Airconditioner in the room Closet space ..unlimted Wifi and a light breakfast is included in the price. 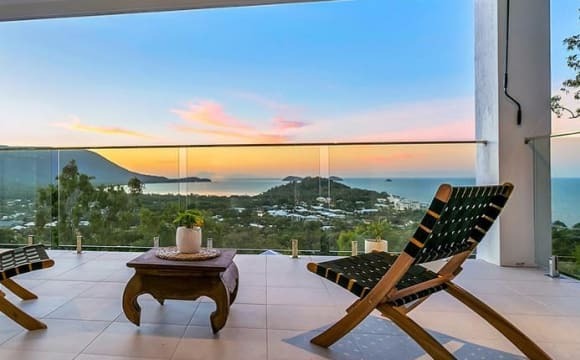 This is a lovely penthouse apartment on the beach at Yorkeys Knob. It's very light (ironically why the pictures are so dark, sorry!) and airy. You will have an air-conditioned bedroom with in-built wardrobe as well as a bathroom to yourself. You also have access to a garage, pool, and large private rooftop area. The complex is very peaceful (only 5 other apartments) and convenient to public transport. Very close to shops and only 15-20 minutes to town. If you have pets, the apartment in cat-friendly. Non-smokers only please. Large room with a queen bed sleeps Two people. Sliding door Cupboards for hanging clothes and ceiling fan. Large Window For breeze and view of the green trees. Rent is $200 for one person or $250 for two people including electricity, gas and water. Short or long term available. Two weeks rent upfront is required. 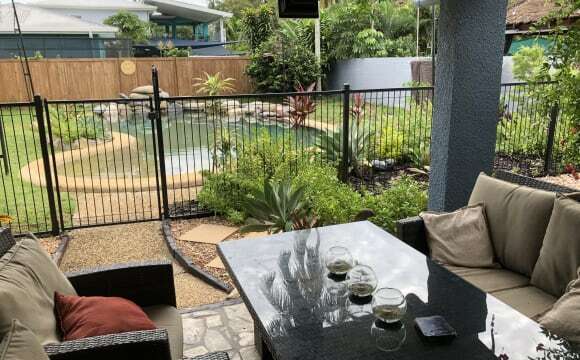 Close to Smithfield and redlynch shopping centre with bus stop out front of house. Great walking tracks around lake placid and quiet suburb to live. Access to fully self-contained house with air conditioned living area, kitchen, dining room, bathroom and toilet.